This collection of 21 audio episodes reveals the truths, myths, and legacies of R.M.S. Titanic - One of the most impactful global tragedies in over a century. 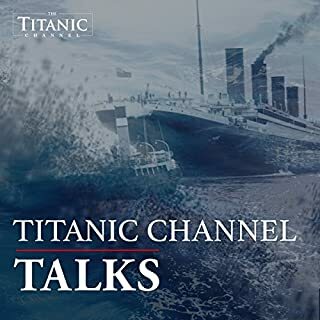 Hosted by world-renowned experts, Titanic Channel Talks uses decades of research to tell fresh stories about the lives of passengers, crew, and the inner workings of the ship. Storytellers include historians, authors, naval experts, researchers, and marine archaeologists - many of whom have experienced diving to Titanic's wreck site firsthand. Late in the night of April 14, 1912, the mighty Titanic, a passenger liner traveling from Southampton, England, to New York City, struck an iceberg four hundred miles south of Newfoundland. Its sinking over the next two and a half hours brought the ship—mythological in name and size—100 years of infamy. She was called “the ship that God himself couldn’t sink,” yet on her maiden voyage, the ship Titanic brushed an iceberg and sank less than three hours later, carrying 1,503 men, women, and children to their death. 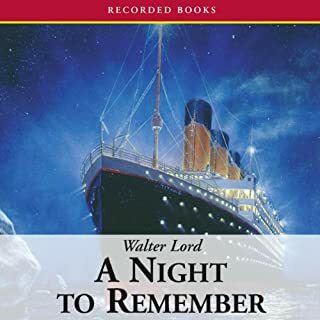 In this dramatic and historic recreation of the bravery and agony that marked that fateful night, author and historian Walter Lord paints a portrait of the last hours of the Titanic’s first and final voyage. Julius Caesar is widely considered to be one of the greatest military geniuses of all time, a brilliant politician, and one of the ancient world's strongest leaders. Caesar was proclaimed dictator for life, and heavily centralised the already faltering government of the weak Republic. However, Caesar's friend Marcus Brutus conspired with others to assassinate Caesar in hopes of saving the Republic. The dramatic assassination on the Ides of March, ushered in Octavian (later known as Caesar Augustus) as the first emperor and undisputed leader of the Roman world. Based on the sensational evidence of the U.S. Senate hearings, eyewitness accounts, and the results of the 1985 Woods Hole expedition that photographed the ship, this electrifying account vividly re-creates the Titanic's last desperate hours afloat and fully addresses the questions that have continued to haunt the the world’s most famous marine disaster. Although many denied it, a giant ocean liner was dying. The superstitious nodded their heads, knowing her fate had already been sealed. The freezing Atlantic crept up to the forecastle head as the massive vessel, with all her lights aglow, slowly, almost imperceptibly, sank at the bow. It was one of the most traumatic events in maritime history, and Archibald Gracie was probably among the last to leave the sinking Titanic on that cold April night in 1912. 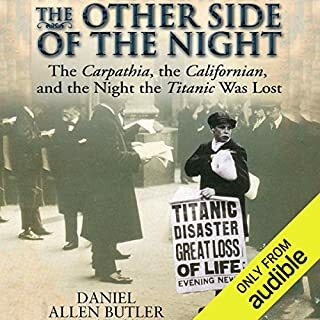 In this unique account, he describes his personal experiences and remarkable escape from death in the icy waters of the Atlantic, painting a vivid picture of what it was like on board the Titanic in its final hours. This is the story of the final 48 hours of the RMS Titanic, its first and last voyage. The story is told in a compelling countdown that ends mere hours after the ship's sinking. 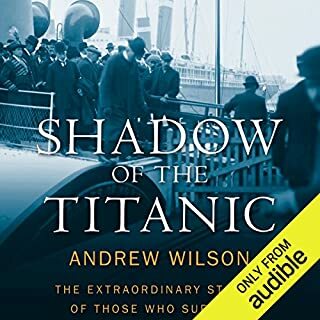 This book describes the last days, actions, and thoughts of architect Thomas Andrews and passenger Margaret Brown, known as the Unsinkable Molly Brown, as they interact with other passengers and crew members during these last 48 hours. While Miss Brown enjoys her cruise and her interactions with everyone onboard, Mr. Andrews is at first proud and then haunted by this stately ship. This account of the sinking of the RMS Titanic was written by Lawrence Beesley and was first published in 1912. 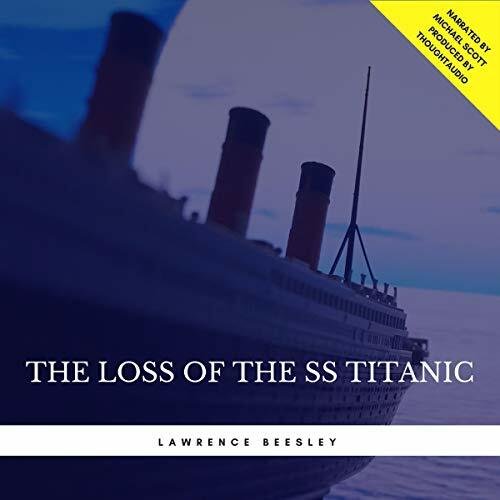 The interesting element is that Lawrence Beesley was a survivor of the Titanic disaster and provides a realistic account of some of the events leading to and following the sinking of the Titanic. The RMS Titanic was an Olympic class passenger liner that became infamous for its collision with an iceberg and dramatic sinking in 1912. The second of a trio of superliners, she and her sisters, Olympic and Britannic, were designed to provide a three-ship weekly express service and dominate the transatlantic travel business for the White Star Line. Built at the Harland and Wolff shipyard in Belfast, Ireland, Titanic was the largest passenger steamship in the world at the time of her sinking. During Titanic's maiden voyage (from Southampton, England; to Cherbourg, France; Queenstown (Cobh), Ireland; then New York), she struck an iceberg at 11:40 PM (ship's time) on Sunday evening April 14, 1912, broke into two pieces, and sank two hours and forty minutes later at 2:20 AM Monday morning. According to the US Senate investigation, 1,523 people perished in the accident, ranking it as one of the worst peacetime maritime disasters in history and by far the most famous. Titanic's design used some of the most advanced technology available at the time and the ship was popularly believed to be "unsinkable". It was a great shock that, despite the advanced technology and experienced crew, Titanic sank with a great loss of life. The media frenzy about Titanic's famous victims, the legends about what happened on board the ship, the resulting changes to maritime law, and the discovery of the wreck in 1985 by a team led by Robert Ballard and Jean-Louis Michel have made Titanic persistently famous in the years since. This account by a survivor of the Titanic disaster was first published in 1912. Though there wasn't any new information, it was an eyewitness play by play of the events and circumstances from the moments leading up to the sinking of the Titanic. I recommend this audiobook. I listened to this and it kept me up at night. The way the author wrote over a century ago, still is very vivid and made me feel as though I were there. The end is very sad. But I had a hard time stopping when arriving to work or anywhere. Be advised that this is not a complete audiobook recording of Beesley's classic firsthand account. 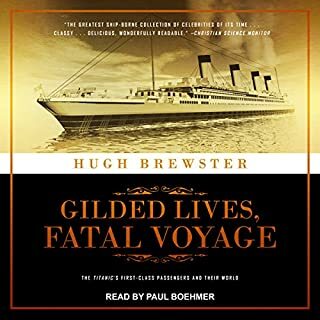 The audiobook runs out at 1 hour 14 minutes, and concludes with the Titanic's last plunge and disappearance. 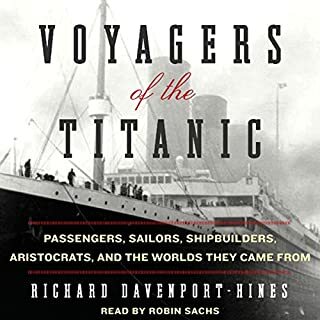 The chapters covering the rescue by the Carpathia, the arrival in New York and the subsequent conclusions are not included in the audio book as they are in the print version. The actor reading the book is clear and neutral and tells it well. But if you want Beesley's entire story, you will need to buy the print version.